Size check: Thinner wool yarn requires a few extra stitches to achieve the 21-inch cir. I have found working even on 64-66 stitches with thin wool necessary. Helpful tip: If using thinner wool, I have found that I need to add at least one additional round to obtain a 8-inch long cap. 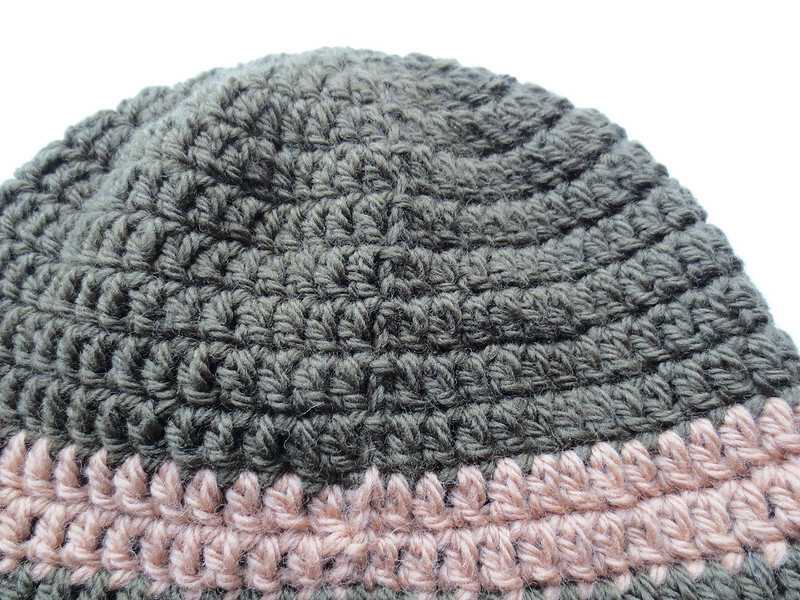 If you desire a longer hat, just add a round or two at this point before crocheting the 2 rounds of edging. Do you have an address for the service men who you make these for? Is there a place to send these hats to? @Kathleen — I send my hats to the Warmth for Warriors group. Here is their address to send the hats. Good for those freezing cold Afghan nights. It gets unbelievably cold at night out there. It’s good to see you are doing something positive for the troops over there. Do the hats need to be particular colors? Our guild is always in the middle of a charity project and this sounds like a good one. 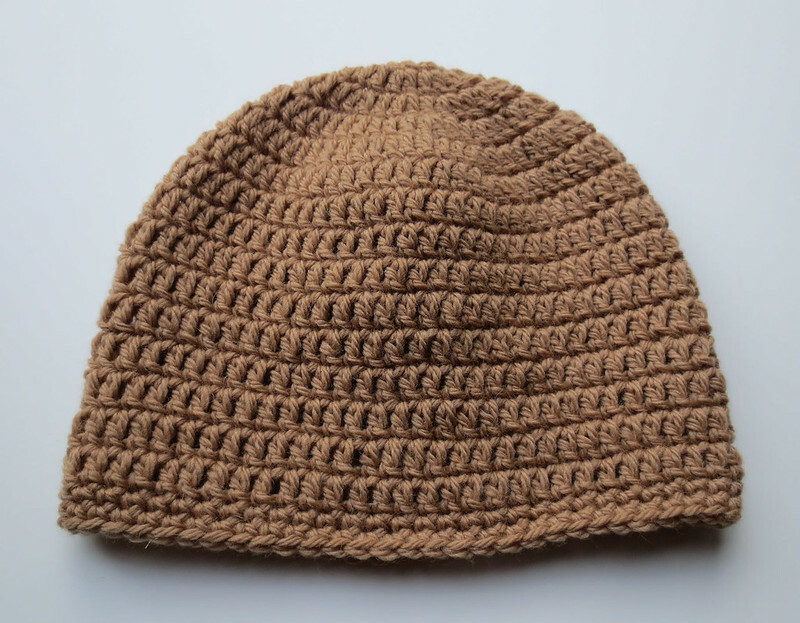 @Kaye- The Warmth for Warriors organization requests darker colors like brown, black, grey, or tan for the troops overseas. But for the ones used here in the states at hospitals and clinics, they can be any color. Please just mark the fiber content as they want 100% wool for overseas only. Thanks so very much for any help your guild can provide. The crochet helmets are well liked in the middle east as well as in south Asia community also. I really liked your post and insisted to comment. I added your site in my book marks. I will happy to see more positive posts here. @Amy, yes you are right. And the design which has been shown here is still in trend. People prefer to wear such type of hats which can help them to overcome from cold as well.